yellow and beige. 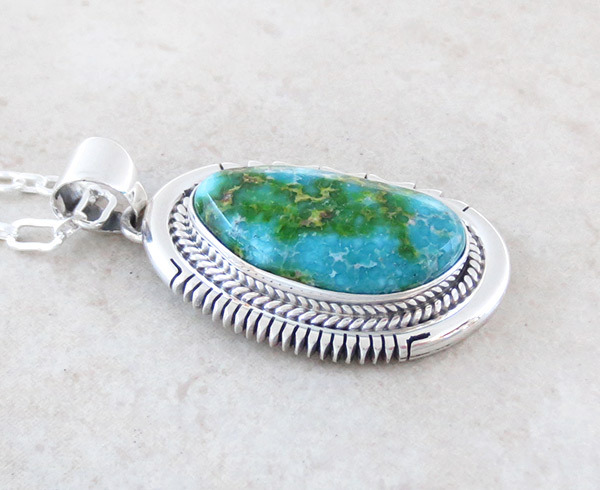 The stone sets in a smooth bezel with a thick carved silver border. 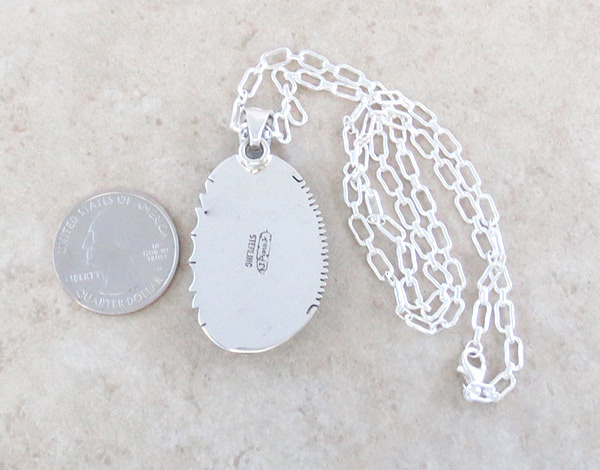 It comes with a very nice 18" sterling silver chain. on the New Mexico / Arizona border. It's marked sterling, signed and hallmarked. It's 1 1/2" tall, plus 3/8" bail, by 1" at it's widest point. 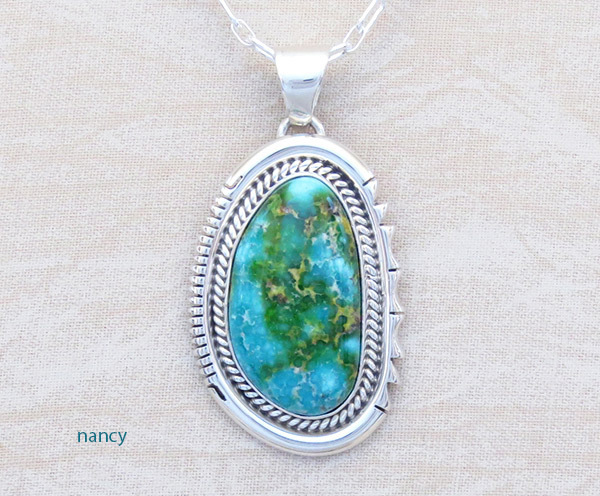 The stone is 1" tall by 5/8" wide. 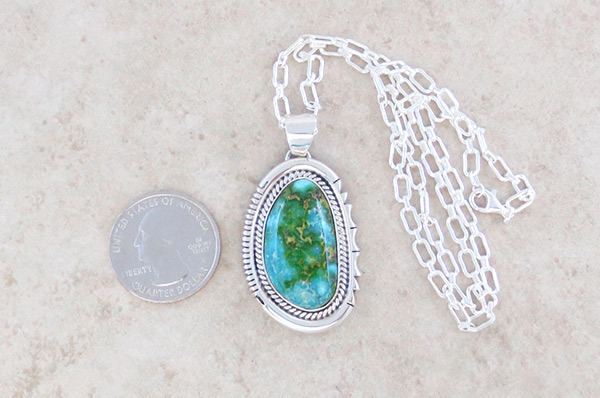 Pendant weight: 16.1 grams on my scale.